Let Blackwood Hunting & Recreation take you through the pastures and canyons of Hayes County, Nebraska for three days of extraordinary guided deer hunting. 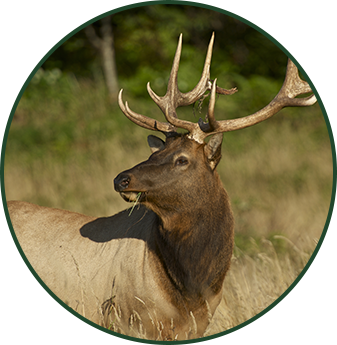 Our experienced hunting guides use their own vehicles to take you and your party within range of some of the most majestic deer in Hayes County. We guarantee that you will get a shot. Our customers have shot some of the biggest mule deer racks in Nebraska, and we hope you will, too. People say Hayes County is one of the best places for pheasant hunting, and we agree. It is our mission to make your pheasant hunting adventure the most enjoyable experience we can. If you want to go at it alone, we'll provide maps to help you out. Take you whole family on one of our area's Merriam turkey hunts. With our affordable turkey hunting packages, you will have plenty of opportunity to shoot at one of the many turkeys that roam our lush land. We're so sure you'll get within range that we guarantee you will be able to shoot at a turkey. Book your next hunting adventure with us.